Band Members JD Evans - Drums/Guitars/BG Vocals Dale Burton (ex-TYKKUS) - Guitars Daryl Evans - Keys Tom Collete - Lead Vocals Letter 7 is Christian rock/metal with hard edge guitars, melodic power vocals and solid driving drums. The style reflects the old school hair metal generation but with a newer more modern feel. Created by song writer and musician JD Evans with the help of professional vocalist Tom Collete and engineer Ken Orth of Alpine Sound. 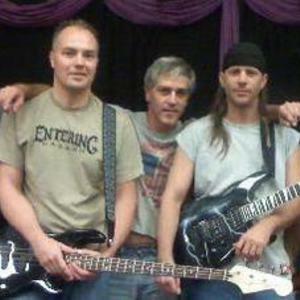 Letter 7 is Christian rock/metal with hard edge guitars, melodic power vocals and solid driving drums. The style reflects the old school hair metal generation but with a newer more modern feel.